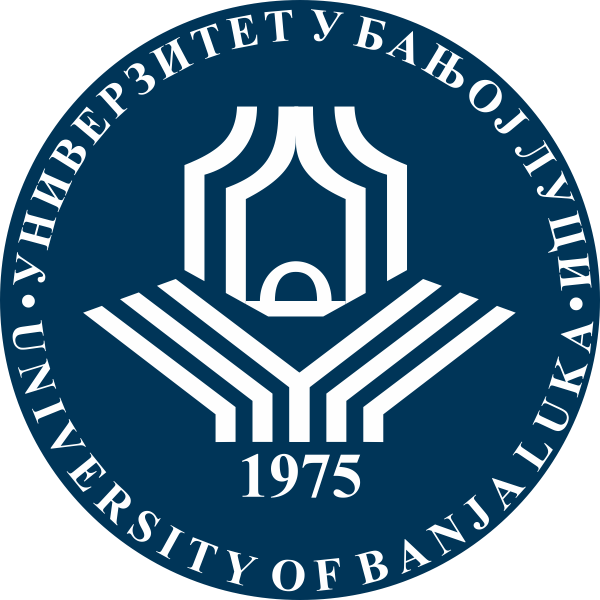 The subject of this research refers to development of management in sport throughout history of the Olympic Committee of Serbia and the Montenegrin Olympic Committee. Analysis of the work of the Olympic Committee of Serbia and the Montenegrin Olympic Committee and presentation of their structures, cooperation with international and national sports organisations, ways of encouragement of the world-class professional sport development, different in their duration but with common interweaving activities, definitely represented a research challenge. A very specific challenge is a comon poliical past hence social patterns that are characterisitic for both states. These paterns are still very present in everyday political life which indirectly influences the work of majority of national bodies includin olympic committees thus their organization and proper functioning. A very specific challenge is a common political past hence social patterns that are characteristics for both states. These patterns are still very present in everyday political life which indirectly influences the work of majority of national bodies including Olympic committees thus their organization and proper functioning. The aim of this research was to determine the importance of work of the Olympic Committee of Serbia and the Montenegrin Olympic Committee from the aspect of management. Development of management in sports throughout history on examples of the Olympic Committee of Serbia and the Montenegrin Olympic Committee was defined by this scientific research. Its results point to the fact that degree of development of management in sports of the Olympic Committee of Serbia and the Montenegrin Olympic Committee was conditioned by length of their membrship in the International Olympic Committee. Besides this, it was confirmed that the influence of technological, economic and political challenges for management of the Olympic Committee of Serbia and the Montenegrin Olympic Committee were the same; that carrying out the Olympic movement projects of different scopes as well as propagation of the Olympic values were equally present in the Olympic Committee of Serbia and the Montenegrin Olympic Committee. Importance of the research is reflected in academic and scientific perspective of work of the Olympic Committee of Serbia and the Montenegrin Olympic Committee. This survey will help future experts in sports organizations to apply their management in sport models successfully in their sports organizations. Key words:history, management, National Olympic Committees, Serbia, Montenegro. Aćimović, D. (2007). Menadžment u sportu. Niš: Serbona. Begović, M. (2014). Pozicija sportista u crnogorskom olimpijskom pokretu, Menadžment u sportu, 5(1), 58-63. Binder, D. (2007). Teaching Values – An Olympic Education Toolkit, Laussane: IOC. Crnogorski olimpijski komitet (2017). Olimpijske igre – osvajači medalja iz Crne Gore. Retrived from http://www.cok.me/olimpijske-igre/osvajaci-medalja-iz-crne-gore/, Crnogorski olimpijski komitet (2017). Retrived from (http://tricetirisad.me/kategorija/aktivnosti/). Đurović, D. (2017). Igre malih država Evrope. In Šiljak, V., Nikolić, M. i Parčina, I. (Eds. ), Zbornik radova sa 12. Međunarodne naučne konferencije „Obrazovanje u sportu“ (pp. 192-197). Beograd, RS: Alfa BK Univerzitet - Fakultet za menadžment u sportu, Fakultet sporta i tjelesnog odgoja, Univerzitet u Sarajevu FIEP-ova evropska sekcija za istoriju fizičke kulture, Olimpijski komitet Srbije, Sportski savez Srbije, Republički zavod za sport i medicinu sporta Republike Srbije. European Olympic Committee (2017). 17th San Marino Games of the Small States of Europe Open. Retrived from http://www.eurolympic.org/17th-san-marino-games-of-the-small-states-of-europe-open. Gašović, M. (2009). Marketing sportskih organizacija. Beograd: Intermanet. Ilić, S., & Mijatović, S. (2006). Istorija fizičke kulture, Beograd: D.T.A. Trade. International Olympic Committee (2017). Olympic Charter. Retrived from https://www.olympic.org/about-ioc-institutionKastratović, E. (2004). Osnove menadžmenta sa menadžmentom u sportu. Beograd: Institut za razvoj malih i srednjih preduzeća doo. Kostadinović, S., & Kostadinović, I. (2007). Pravo i sport. Beograd: Univerzitet Braća Karić. Mitrović, I. (2011). Olimpijska bajka, Beograd: Fond sporta i Olimpizma. Novosti časopis online (2016). MOK uputio upozorenje u OKS: Strogo poštujte Statut. Retrived from http://www.novosti.rs/vesti/sport.297.html:635736-MOK-uputio-upozorenje-u-OKS-Strogo-postujte-Statut. Olimpijski komitet Srbije (2016). Retrived from http://www.oks.org.rs/sutra-na-100-dana-do-rija-olimpijski-karneval-u-centru-beograda/). Olimpijski komitet Srbije (2017). Završni izveštaj o realizaciji programa. Retrived from http://www.oks.org.rs/wp-content/uploads/Zavrsni-izvestaj-OKS-za-2015. Olimpijski komitet Srbije (2017). Skupština Olimpijskog komiteta usvojila izmene i dopune Statuta OKS. Retrived from http://www.oks.org.rs/skupstina-olimpijskog-komiteta-usvojila-izmene-i-dopune-statuta-oks/. Simonović, LJ. (2007). Olimpijska podvala, Beograd: Autorsko izdanje. Šiljak, V. (2013). Olimpizam, Beograd, Alfa univerzitet. Šiljak, V., & Đurović, D. (2017). Historical Development of the Olympic Movement. In. Bjelica, D., Popović, S. & Akpinar, S. (Eds. ), Book of abstracts, 14th International Scientific Conference on Transformation Processes in Sport – Sport Performance (pp. 22). Budva, MNE: Montenegrin Sports Academy. Škaro, D. (2012). Management Olimpijskih igara, Zagreb: Mate d.o.o. Tomić, M. (2007). Sportski menadžment. Beograd: Data Status. Trkulja, M. (2008). Marketing sportskog događaja Olimpijske igre. Beograd: Alpha design.